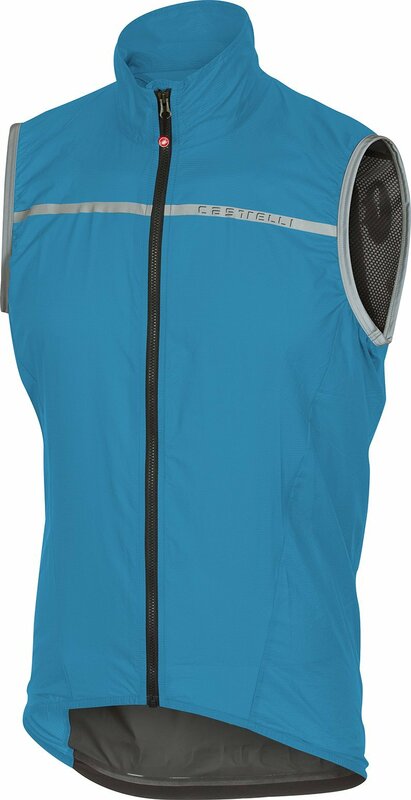 The Castelli Superleggera cycling vest is an ultra-light, breathable, packable wind and water-resistant gilet that can be packed away into your jersey pocket until you need it. No matter what the time of the year is there’s always a chance of a sudden downpour, be ready with this water-resistant vest featuring a Pertex® Quantum base fabric with low air permeability and a Stretch Torrent waterproof fabric insert on the back. With a smooth YKK Vislon full-length zipper you’ll be able to cover up quickly to keep the wind off your chest on long alpine descents or fend off rain showers until they pass. 175cm/90kg muscular build, XL fits good.